Litterial is a 6-year NBA veteran and All-time leading scorer at the University of Georgia. During the college season, he is a Color Analyst for Comcast Sports. He is also the co-founder of Practice with the Pros Basketball Camps. 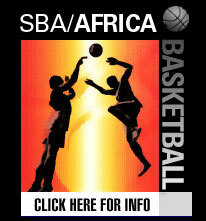 World Basketball Association's 2004 Coach of the Year and 2004 WBA Championship team with the Southern Crescent Lightning. Green, 35, is a native of Pascagoula, Miss., and attended Moss Point High School. Recruited by the University of Georgia, he set and holds records in five categories from his time at the school, including career points (2,111), career assists (466), and field goal attempts (1,611). After declaring for the 1992 N.B.A. draft, he was selected in the second round by the Chicago Bulls. He then played his first two seasons with the Orlando Magic. Subsequently, Green played for the Detroit Pistons, Milwaukee Bucks, and the Cleveland Cavaliers. Green moved to coaching after retiring as a player. In 2003, he was hired by the World Basketball Associations Southern Crescent Lightning, and was awarded Coach of the Year honors after leading the team to its first championship season. Green is also a co-founder of the Practice with the Pros Basketball Camp, and is the current director of the Junior Street Ball Association, an organization dedicated to conducting youth basketball camps and clinics.